“C.F. Payne: An American Illustrator” follows C.F. Payne, Artist and Professor. The bio-documentary spans his entire career; from his early interest in artwork as a child, to his art school days at Miami University, and finally the ups and downs of his 40 years working as a professional illustrator. The goal of the art documentary is to capture Mr. Payne’s insatiable appetite for learning, sharing and growing as an artist, and his desire to pass his knowledge onto others. “C.F. Payne: An American Illustrator” is a Bio Art Documentary about artist-illustrator C. F. Payne, whose artwork has graced the covers of Time Magazine, Readers Digest, Sports Illustrated, The New York Times Book Review and Sunday Magazine. 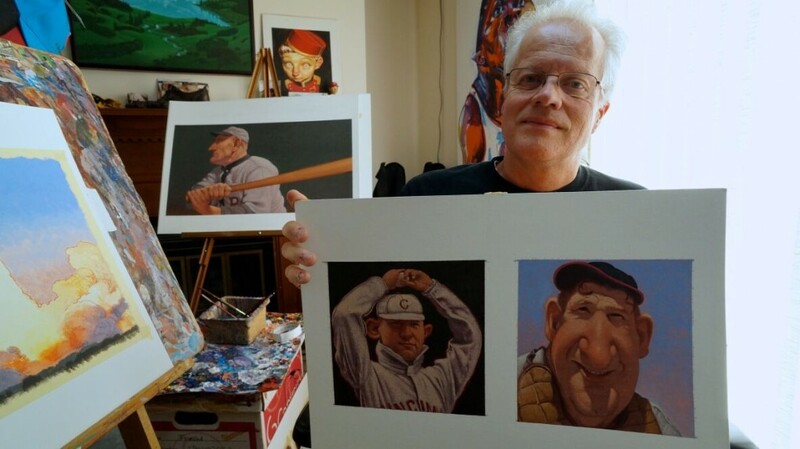 He has been commissioned to paint countless politicians, authors and entertainers. He has illustrated ten children’s picture books, including The Remarkable Farkle McBride and Micawber, written by John Lithgow. His artwork has been exhibited at The Cincinnati Art Museum, The National Portrait Gallery, The Norman Rockwell Museum, The Society of Illustrators Museum of American Illustration, The Selby Gallery at Ringling College of Art and Design and numerous college and university galleries.